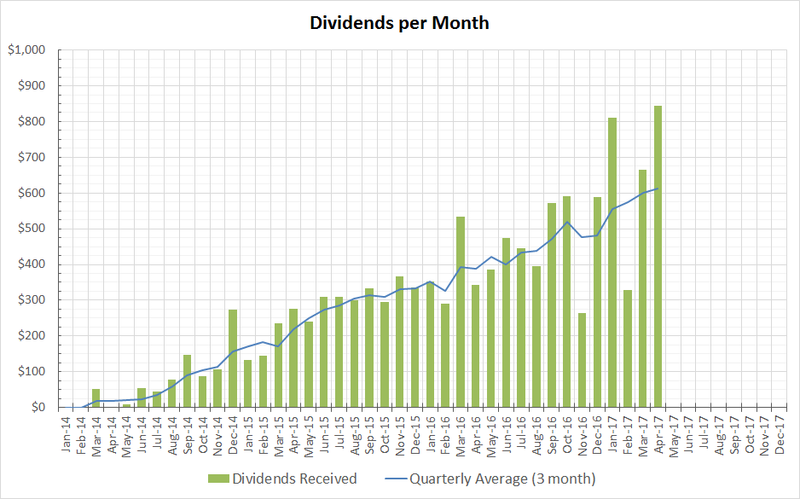 Excellent, that rolling dividend is starting to trend upwards again which is great to see. Well done. Good job love that MO and PM dividend can't go wrong with those 2. Keep it up. Great month for passive income. Like you, I look at what my monthly dividends can already cover in terms of expenses. It makes it much easier to quantify and give meaning to that money rolling in. Great for a first month of the quarter (typically my worst month). Excellent YOY growth. I see you are holding a lot of names in more than one account. How do you decide what to allocate in taxable vs. tax-advantaged accounts? You want to hold companies that pay dividends that are not taxed favorably in tax sheltered accounts. These are for me REITs since the dividend is not qualified and taxed highly. If you have foreign company dividends you want to hold it in a taxable account so you can deduct the rate when you file taxes.